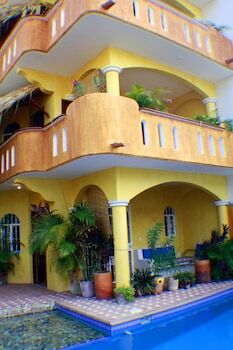 A stay at Cielito Lindo Suites places you in the heart of Puerto Escondido, within a 15-minute walk of Carrizalillo Beach and Bacocho Beach. When you stay at Casa Tsaya Boutique in Bernal, you'll be 10 minutes by foot from Museo del Dulce. The front desk is staffed during limited hours. With a stay at Hacienda Los Picachos in San Miguel de Allende, you'll be within a 15-minute drive of El Mirador Viewpoint and La Esquina Mexican Folk Toy Museum. Free self parking is available onsite. With a stay at Hotel Ikaro Suites, you'll be centrally located in Cancun, just a 3-minute walk from Market 28 and 7 minutes by foot from Las Palapas Park.